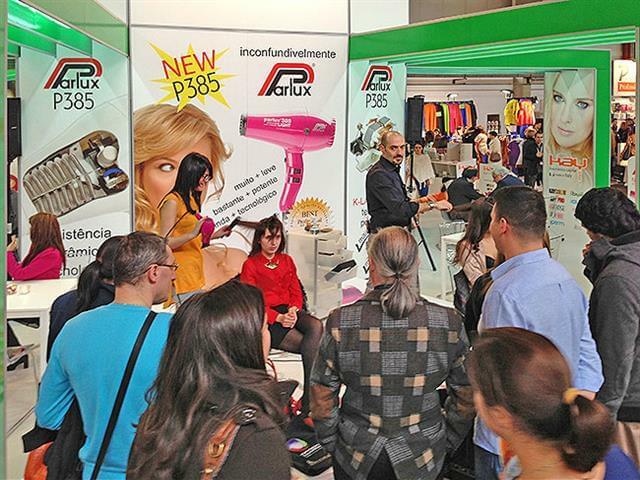 The great presentation of the new Parlux 385 PowerLight® at the Expocosmetica exhibition held in Oporto (Portugal) last April at Ricki Parodi’s booth (Parlux distributor for Portugal) caught the attention of many local and foreign professionals who, on seeing the big presentation posters of the new Parlux hairdryer, stopped to discover its new essential professional features (power and lightness) and to assist at the live demonstrations held by the Italian hairstylist Fulvio Furcas. 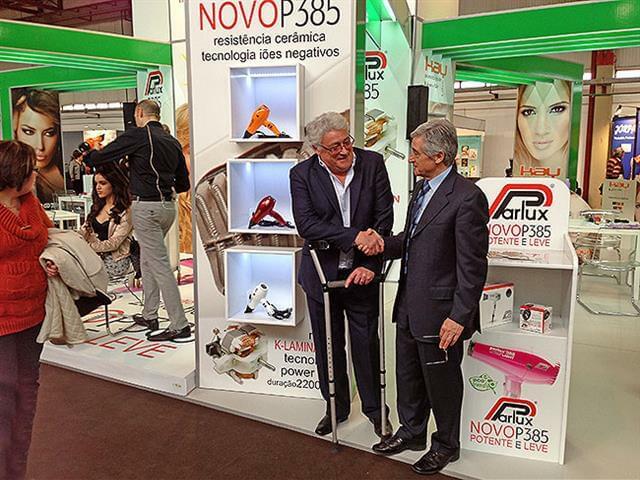 He presented his latest hair creations using the new Parlux 385 PowerLight® hairdryer underlining the fact that the new K Lamination motor assures maximum power and minimum weight. This new hairdryer has been designed using the well-known Parlux Eco-Friendly technology, a Ceramic & Ionic device (which contributes to shiny and healthy hair) and last but not least, its ideal size, balance and above all, power and lightness. The new colored version of this model (eight colors: six of them, very classical, the Ecological green plus two new colors: fuchsia and orange) were very appreciated and liked by the Portoguese public.